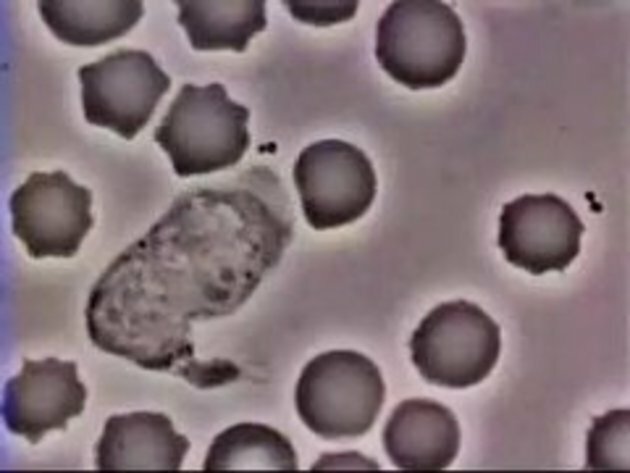 Magnified white Blood Cell Chases Bacteria. This is happening in your body all the time! 39 comments posted so far. Login to add a comment. This should be in the awesome category, because this just is Absolutely Awesome. They use a camera attached to a microscope. anybody else notice that it missed a bacteria and it presumably got away? I love you white blood cell! 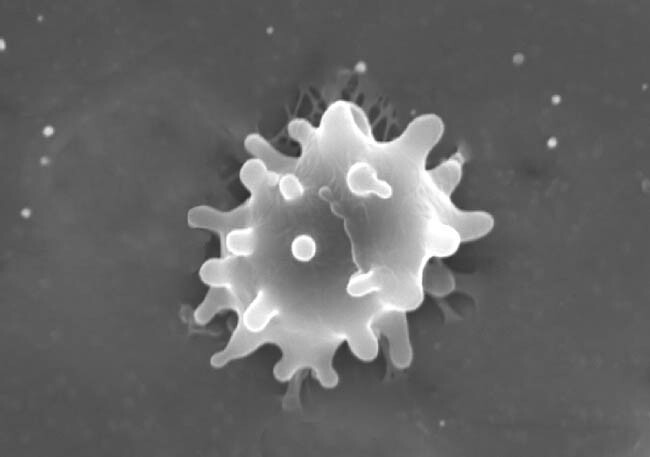 the white blood cell moves via chemotaxis, meaning it follows chemicals how ever it knows not to go two ways at once but can still phagocytose and endocytose as many bacteria or protozoans as it wants (or can fit on its cell membrane). I think this one needs some "Pac Man" audio added to it . Nobody commented #15 and #16, therefore I reset the vote from minus to zero. I look forward to more medical stuff. #19 Your body, i.e. YOU, do this all the time you should feel very depressed for the millions of "poor little" bacteria you destroy. My body has so many loyal white Blood Cell, i should make a party for them. actually it's digesting the bacteria not only to kill it but also to have small pieces so antibodies can be created, thats why the macrophage only chases one...and by the swelling of the red cells you can tell it took quite sometime for this to happen. YOU CANT ESCAPE!!! NOM NOM NOM!!! The mods know wiki and looks like that little piggie got away , amazing thow but check this one for freaky . . Some of us have actually done courses on immunology and haematology along with bacteriology, parasitology, and mycology. But hey there is absolutely nothing wrong with wiki. "Animals are killing all the bacteria! Save the bacteria! Kill all the animals!" Imagine how rich your body is, and you don't even know it. Some 'Benny Hill' music was playing in my head, wish the uploader had added that so I don't feel so mental.